The name kahika is an ancient one, which in most of the Austronesian languages in Oceania denotes the Malay Apple, Syzygium malaccensis. This tree was either not brought to Aotearoa or would not grow here, but the name was applied directly and through names derived from it to several New Zealand plants (see links above). The one discussed on this page is the kahika or kahikatea ("white kahika", from the colour of the wood), along with the kauri an iconic New Zealand tree. The word kahika also denotes the flower of the rätä and other species of Metrosideros, and also is an alternative name for another iconic tree, the pohutukawa (Metrosideros excelsa). The kahikatea is Aotearoa's tallest tree, rising to over 60 metres in mature stands. 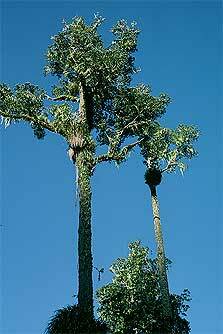 It is a highly sociable creature, congregating in large, closely populated groups in damp and swamy places, supported on strong butress roots where the ground is regularly subject to inundation. It is found throughout New Zealand, but in many parts of the country only small remnants of the original forests remain; the most extensive and magnificent of these are now located on the West Coast of the South Island. There is a thriving stand of kahikatea in the dampest part of our garden, at the foot of the northern end of the last terrace before the river (Area NW-84). These trees first, seedlings probably two years old which were planted out in 2000, had a few fruit in 2008, and fruited profusely in 2009. Individual trees are scattered throughout the garden. 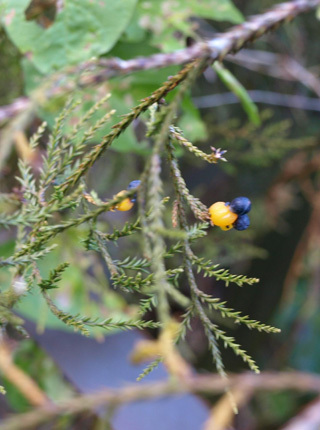 The Kahikatea in Tradition and Everyday Life . Whai rawa atu nei, kore rawa e anga mai. Iti te köpara, kai täkirikiri ana i runga i te kahikatea. 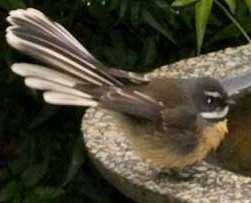 Although the bellbird is small, he feedls unrestrainedly atop the kahikatea. A lot more to come later! . Kahikatea seeds with droops forming below them. Photographs. 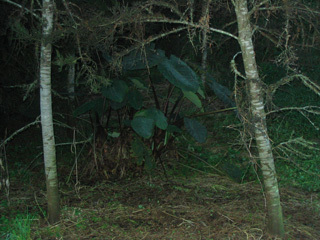 Mature kahikatea: http://www.doc.govt.nz/upload/6131/kahikatea-223.jpg . Others are of trees growing in Te Mära Reo, Area NW-83. 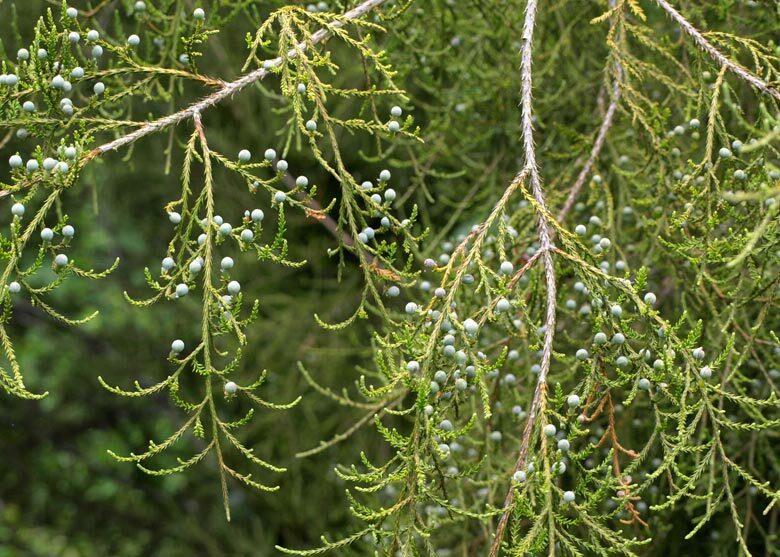 Links: There is a very basic article on the kahikatea and its close relative the rimu (also the inheritor of an ancient name), on the new Encyclopedia of New Zealand website. More links will be added in the fullness of time!